Dr. Gilda Carle is the media’s go-to Relationship and Life Style Expert who has penned 15 books and now, Dr. Gilda Carle is using her well-honed skills to bring to light the plight of homeless Female Veterans. For far to long now, Female Veterans have largely been ignored, with the media focus generally shining a light on their male counterparts. They now comprise of the fastest growing group among the homeless and no one seems to be paying attention to the quandary these women find themselves in. This is where Dr Gilda comes in. Through her educational nonprofit charity, Country Cures®, she runs a unique female-centric training program called “Pre-Employment Skills for SHEroes©” that uses Country Music and Female Language, which is helping transform lives and getting women off the street. So why the use of country music? 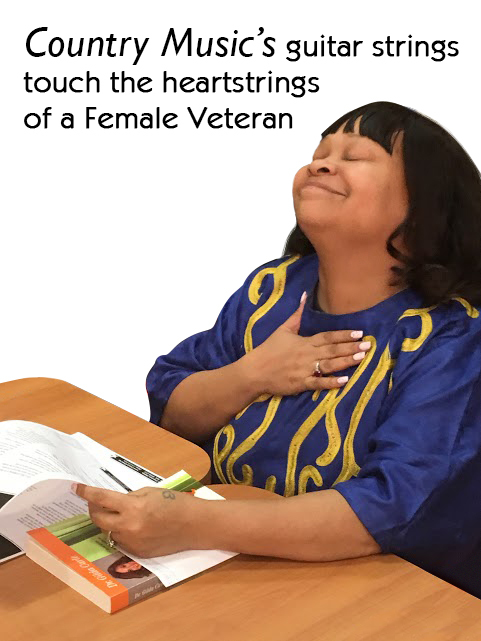 Dr. Gilda explains that it works because it tells relationship stories with which Female Vets identify; Its string harmonics match the energy of the heart, small intestine, pericardium, thyroid, and adrenal glands; Its listeners are found to display “higher functioning behaviors” in truth, trust, and love (David R. Hawkins, M.D., Ph.D.); Its artists support the military, so it is familiar to Female Vets.